In the past, if someone wanted to send money overseas, the bank was the only option available to that person. However, when transferring money through banks, hidden costs were often incurred. But in current times, people have better options available, such as Peer-to-peer lending. 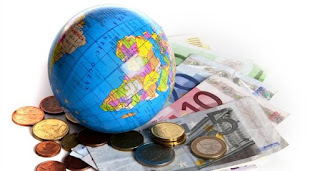 The basic idea of P2P money transfer is that money does not cross borders which removes bypassing fee. Suppose you live in America and have to transfer money to someone living in France. You will pay in dollars to the American account which is owned by the P2P organization, while the recipient will get paid from a French account of that P2P organization. The currency that the recipient will receive will be in Euros. TransferWise charges a commission fee of 0.5% for GBP. Transfers that are below £400 are charged with a £2 fee. Thus, it is a better option if the amount to be transferred is small. CurrencyFair, on other hand, charges slightly higher fee. Along with a fixed fee, there is varying commission charged as well. Usually, the total average transfer fee is lower than TransferWise while making a larger transaction. Thus, it is a good option if your payments are not very small. Both these services provide better rates than banks, because banks tend to burden people with not only transaction charges, but mid-market rates as well. Compare peer-to-peer transfer companies by observing which of them regularly updates exchange rates and provides the best offers. You should know what the average rate is that customers receive from that company and how they compare to market rates. Find out if there will be any charges that you will have to pay in order to send your money overseas, because there can be fees charged on your transaction as well. Before you choose a peer-to-per company, you should also find out how quickly the money will be received by your beneficiary when choosing the transfer company. Does the company that you are choosing entertain customer queries? It is important to know whether you will be provided any assistance if you happen to face an issue. Finally, ascertain the worthiness of the company that you are selecting by reading online reviews like this icomparefx review. Check testimonials about that transfer provider to find out if the transfer of funds is safe and properly regulated. Currencies tend to change suddenly, and your transfer will be paused automatically if the fluctuation results in a 3% change in the currency rate. This can cause excessive time delays. There are cases when a person has to wait a full week for the money transfer. However, regardless of this issue, P2P money transfers are still becoming widely famous because of the various benefits they have.